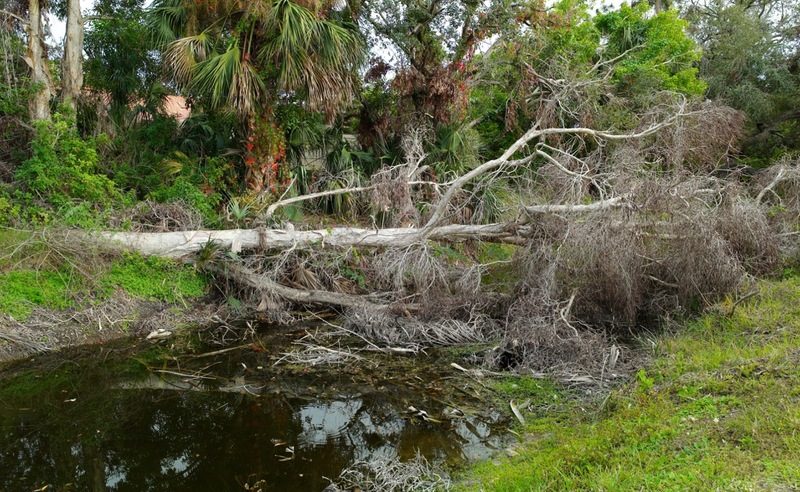 A force of nature….Irma took down many fine trees in Fla.
Irma hit at the beginning of September, 2017. This is the Camelia River, Tropicana, Ft. Myers, Fla. Paul Goldfinger photograph. © Jan, 2018. Click to enlarge.